78 questions containing the word/s 'engine noise' were found. 2002 Vauxhall Vectra 2.2 SRI Diesel Engine Noise? my valiant VCW GB221 ? 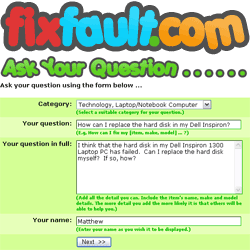 How to fix Craftsman 917.377700 problems? whinning engine on my astra 1.4 54 plate club? Fan Noise from AEG Competence Oven Model B2190-1? My Gardenline GPHS hedge trimmer makes a grating noise then cuts out? keeps defrosting. Hotpoint Mistral model FF 93? what is wrong with my van? ? how can i fix the noise from my engine toyota lucida? jerking opel meriva after floods.? how can i fix my mg zr+ 1.8? How can I fix the noise my engine is making? need an idea of what the problem is please? how can i fix my snapper ridding mower? How can i fix my Indesit DI620 dishwasher? ford focus 4000rds serial no--m158044--code please help? f1 error on jaguar 23kw boiler? Why is my Creda Excel Condenser dryer making a running water noise?